Lexus has long been a supporter of the Open Golf Championship. Their Hybrid Drive Golf Cup being a lead up competition in itself, designed to be support competition to the Open. Customers could apply through their local dealerships to enter the competition through the Pursuit of Perfection campaign. 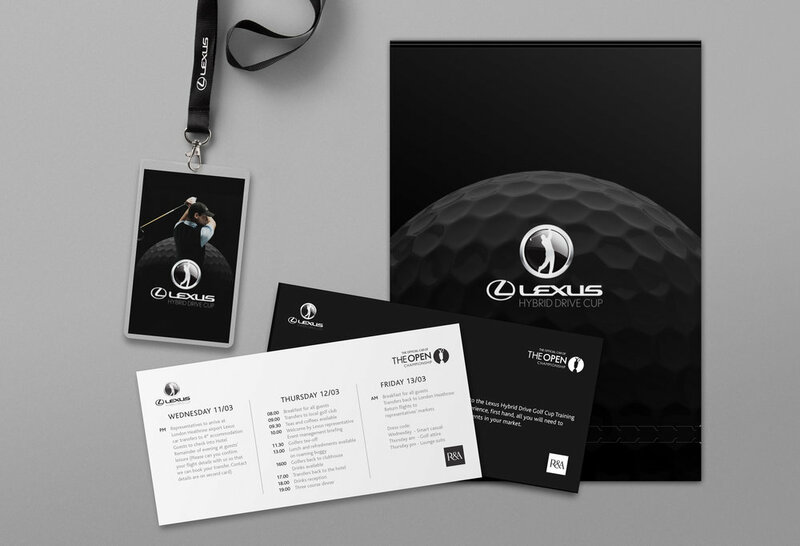 Branding, Art Direction and concept design were produced to reflect the precision and attention to detail of Lexus as a brand and Golf as a sport. This project was done at Mad River agency. Copyright © 2019 Billy Allinson. All Rights Reserved.